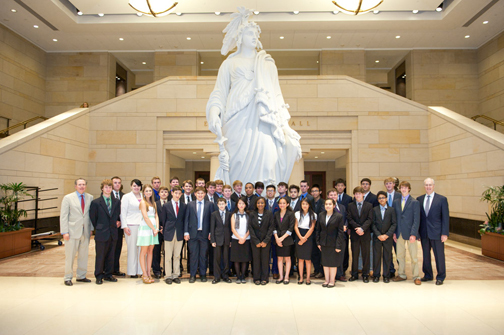 The SIFMA Foundation’s annual Capitol Hill Challenge (CHC) is an exciting national financial education competition for middle and high school students and reaches all 50 US states and their members of Congress. This year, nearly 15,000 students, from 733 schools, and 100 percent of Congress participated in the Capitol Hill Challenge. 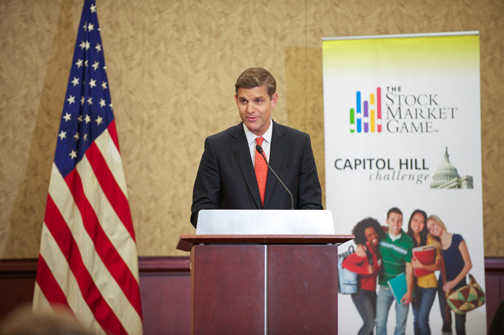 This special version of the Stock Market Game™ pairs members of Congress with participating schools. Since its inception in 2004, CHC has made 2,212 matches of U.S. Representatives and Senators with schools, encompassing more than 60,000 students across the country. 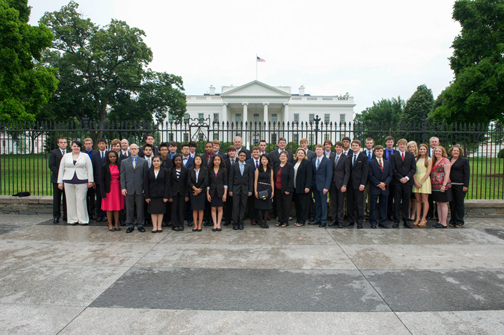 Students from around the country traveled to Washington, D.C. in recognition of their Top 10 ranking in SIFMA’s Capitol Hill Challenge. The students met with business, government and education leaders to learn about fiscal policy and the role of the capital markets. This year saw a remarkable 100% participation by Congress in the program. On June 11th, the Top 10 teams were recognized at an Awards Reception in their honor. Rich Brueckner, Chief of Staff at BNY Mellon and Chair of the SIFMA Foundation, commends our educators for taking the initiative to bring CHC to your schools to benefit your students. What your students have learned through this program will equip them long into the future. Congratulations to this year’s Top 10 teams! 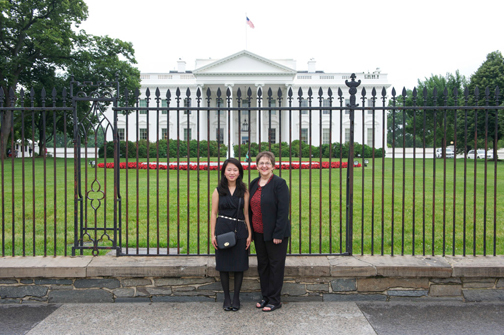 The Top 10 teams visited the White House prior to the Awards Reception – Congratulations! First Place: Congratulations to Soniya Sherpa who represented her teammates Precious Abanesu, Anh Bach, Clement Mucyo, Azrah Pervais and from Canyonville Christian Academy. Instructed by Roger Shaffer, they represented Representative Peter DeFazio during this year’s Challenge. 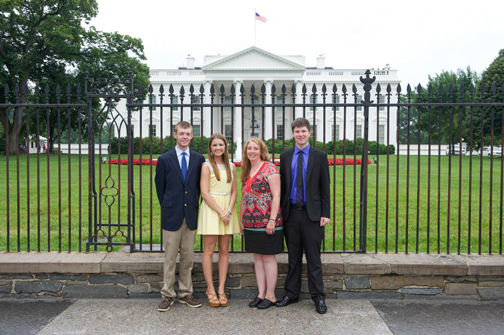 Second Place: Congratulations to Noah Bernard, Jerry Harsh-Warne and Madeline Martin from Fort Fairfield High School. Instructed by Kerrie Alley, the team represented Senator Susan Collins during this year’s Challenge. Third Place: Congratulations to Milllie Cantu, Rebecca Hernandez, Julie Mazariegos and Dani Zhanje from South Central Middle School. Instructed by Jason Kornegay, the team represented Senator Saxby Chambliss during this year’s Challenge. Fourth Place: Congratulations to David Bui, Samuel Koeut, Kyle Linatopi, Andrew Nirello and Spencer Sheehan from Lynn English High. 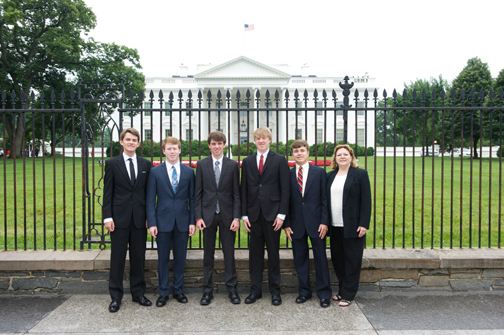 They were instructed by Thomas Smiley and represented Representative John Tierney during this year’s Challenge. Fifth Place: Congratulations to Nathan Bentley, Robert Thompson, William Goodrich, Lee Parker, and William Smith from Little Rock Christian Academy. They were instructed by Susie Thompson and represented Representative Tim Griffin during this year’s Challenge. Sixth Place: Congratulations to Skyler Blankenship, Boyd Price, Logan Easterling, Jacob Smith and Drake Jones from Chilton County High School. 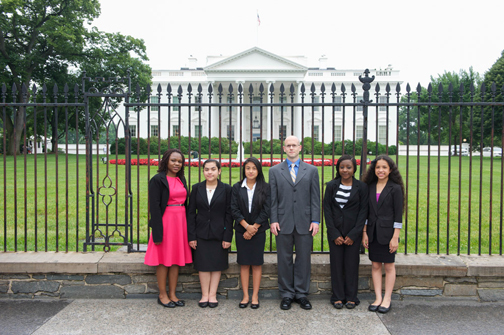 They were instructed by Ray Sosa and represented Representative Spencer Bachus during this year’s Challenge. 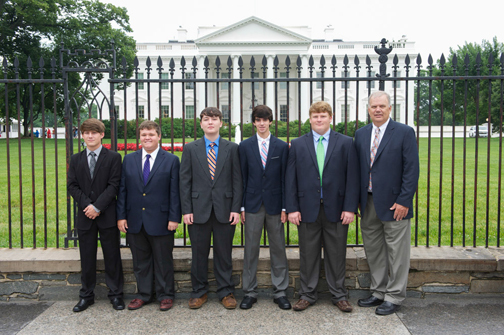 Eighth Place: Congratulations to James Nelson Robbins, John Wyatt Norris, and Trent Rhodes House from Central Academy. 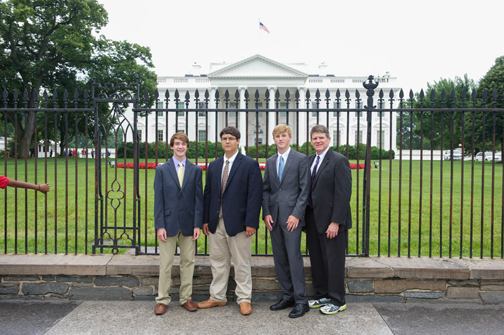 They were instructed by Os Barnes and represented Senator Roger Wicker during this year’s Challenge. 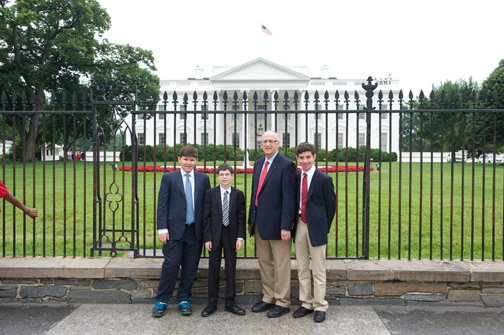 Seventh Place: Congratulations to Justin Yehuda, Zachary Kauderer and Noah Randman from Solomon Schechter Day School. 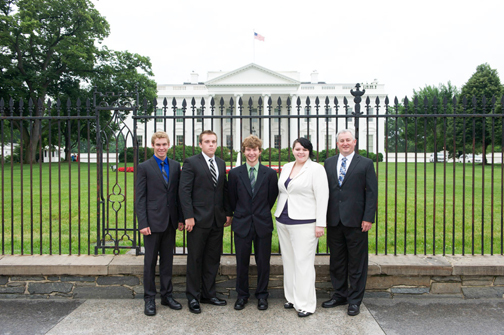 They were instructed by Donald Cutler and represented Representative Scott Garrett during this year’s Challenge. 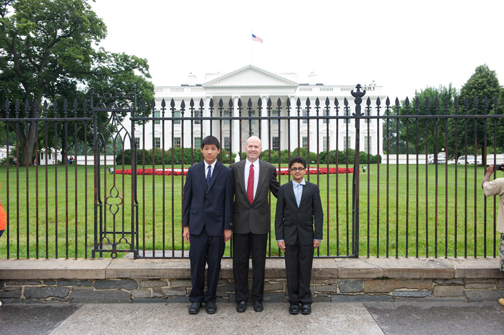 Ninth Place: Congratulations to Rohit Chakravarty and Ken Li, and Jason Song from Boulan Park Middle School. They were instructed by Mark Martin and represented Representative Kerry Bentivolio during this year’s Challenge. Tenth Place: Congratulations to Garret Blanshine, Jessica Coffell, Mathew Morrison, Alex Wyatt, and Olivia Nelson from Reeths-Puffer High School. They were instructed by Richard Corbin and represented Representative Bill Huizenga during this year’s Challenge. 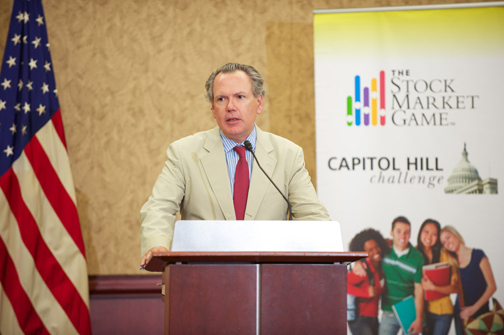 Bloomberg TV’s Chief White House Correspondent, Peter Cook, kicks off this year’s Capitol Hill Challenge Awards Reception. SIFMA President and CEO, Kenneth E. Bentsen, Jr., says it’s remarkable what the participants have done during the 14-week program. He commends all the members of Congress for their participation, and give special recognition to those who took the time to visit their local school and meet with their student teams as part of this visit to engage on financial education and role of government in our capital markets. 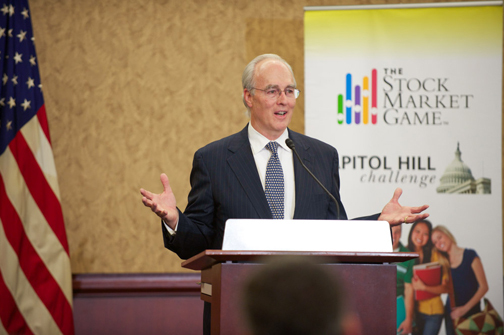 The SIFMA Foundation's annual Capitol Hill Challenge (CHC) is an exciting national financial education competition for middle and high school students and reaches all 50 US states and their members of Congress.